I was given this book as a present, which was a brave thing for the giver to do as I have a ridiculous number of books on Egypt, but this is actually a surprisingly good little publication. 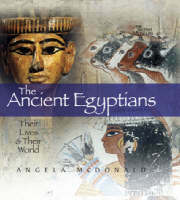 It is a small-format book, but thick, with over 460 pages, and it is full, as the title implies, with photos of Egypt. It is divided into sections: ‘Everyday Egypt’, ‘In the Time of the Pharaohs’, ‘Cairo and Alexandria’, ‘Between Seas and Deserts’, ‘The Treasures of the Theban Valley’ and ‘In the Sands of Nubia’. The photos, therefore, cover every aspect of Egypt and the things you see when visiting – from the farmers and fruit sellers to the treasures of the Egyptian Museum, from the wonderful scenery of the deserts of Egypt and of the Suez Canal to the great monuments. The photos are all of excellent quality and each comes with a short, but adequate descriptive caption. The photos are sure to inspire any photographer visiting Egypt. (The view of pottery near the Coptic part of Cairo is one I have been trying to capture from coach and car windows for years, and failed!) This is a book that can be dipped into and enjoyed; it is especially interesting and a delight for anyone who has been to Egypt and would be very informative for anyone planning a visit. It is a shame that the cover image of Tutankhamun’s gold mask is reversed ... you will all have spotted that yourselves no doubt … but don’t let that put you off. Even if you have shelves already sagging under the weight of your Egyptian titles, this is one small volume well worth adding to your collection. Published by Rebo International b.v., 2008. ISBN 978 90 366 2410 7. There has been much interest in the rock inscriptions of the Eastern Desert in recent years, but relatively few publications on the subject. The University of Minnesota Eastern Desert Expedition began in 1975, though nothing was published at that time. In 1991, the expedition’s photographs were re-located and that encouraged further visits and studies/surveys of the sites, covering an area from north of Luxor to south of Aswan and across to the Red Sea. The inscriptions are found in many of the wadis which run across the area. The book does not include ‘rock art’, but inscriptions in hieroglyphs, which probably date from as far back as the early Old Kingdom, possibly even to the Archaic Period. Each inscription is illustrated with a photograph, a clear line drawing of the text, a transliteration and a translation. An additional brief commentary provides further information, such as where there may be other inscriptions mentioning the same name or town name. It is, interestingly, difficult to date many of the inscriptions, and this is usually only possible when the name of a pharaoh is included, but some can be dated by the style of the inscription and where a few private individuals are known from inscriptions elsewhere. Some titles are intriguing, such as ‘the captain of the ship’s crew’. “We now believe it is dangerous to rule out the possibility that these really were ship’s captains who were on their way to the Red Sea,” say the authors. Many of the inscriptions seem to be linked to mining activities in the area. This book is a useful, if perhaps specialised, reference book. One section, ‘Paleography’, lists the many hieroglyphs found and variations in their depiction, which will be most useful for anyone undertaking further research in this area. This is an important addition to our knowledge of the range and scope of the activities of the ancient Egyptians, especially outside the Nile Valley. ISBN 978 1 57506 147 4. Now this is a book on Egypt for the really young reader and/or one to read to them. With good, clear images, and with only a sentence or two on each page, in a large font, this book nevertheless gives a great deal of information and encourages readers to look in detail at some of the images. What is particularly useful (and I know some people wish this was done for adult books) is the inclusion of the pronunciation for the longer or more difficult words, [e.g. hieroglyphs (HI-roe-glifs)]. It has to be a great idea to interest someone in ancient Egypt at a very young age, and this book will certainly do that. Published by Chronicle Books LLC, 2008. 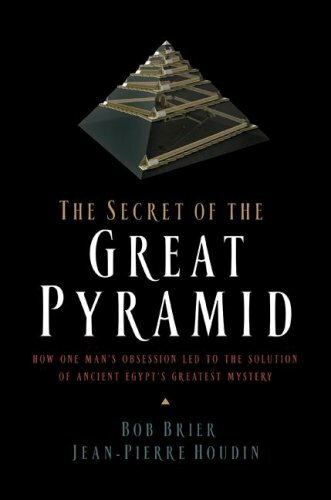 Yet another book on ‘How the Great Pyramid was Built’ ... and I always have a problem when people look at this pyramid almost in isolation. Surely if a novel and practical pyramid-building technique was developed we would see it in earlier and later pyramids, not just in one? However, having read the book (and also seen the TV documentary) the proposal here is intriguing and plausible. The only problem being of course, that is there is no definite proof (as yet, at least). Jean Pierre-Houdin has devoted years to the study of the pyramid and was able to enlist the help of computer experts to ‘build’ a virtual pyramid using the idea of internal ramps, which, he suggests, are still enclosed (but not yet discovered) in the core of the pyramid. Perhaps the most intriguing piece of information came from a special scan of the pyramid, made in the 1980s looking for low density areas within the structure. On one diagram, a strange anomaly appeared and the scanning team were not able, at the time, to deduce what it might be. It would now seem to fit the theory of the internal ramp precisely. This is an intriguing read. Perhaps it is time, using twenty-first century technology, to re-scan the pyramid, and for others to test and prove, or disprove the theory. In the meantime, I expect this will not be the last book on the mystery of how the Great Pyramid was built. Published by Smithsonian Books, 2008. This is the latest revised and updated edition of the guide, which does, as it says on the back cover, providing “everything you’ll even need in a guide book”, with information on every aspect of visiting Egypt. The antiquities feature strongly, as expected, and again, for the first time visitor, and indeed for any visitor, the information provided is good and will certainly help you get around and find the places of interest. The book is well illustrated with some excellent photographs, although there are a number of inaccurate photo captions, which those who know Egypt and the subject well might spot, but which, however, will not detract significantly from the aim of the book for most travellers. 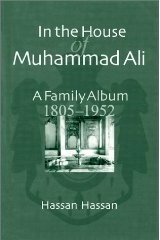 Published by Apa Publications UK, 2008. ISBN 978 981 282 065 5. Written for younger readers, this book provides a good general introduction to ancient Egypt. In eighty pages, all the main aspects of ancient Egyptian history are covered, and are well illustrated with excellent photographs. Many of the objects included are from the British Museum’s own extensive collection of Egyptian antiquities. 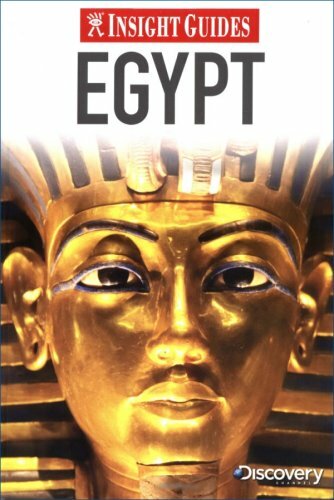 The information is clear and precise and a feature of this book I particularly like is the extensive use of quotations and extracts from ancient Egyptian texts, which help to bring the history and culture to life and present the reader with the real voices of the ancient Egyptians. There is a good bibliography, often missing from books for younger readers and an essential requirement, especially if the book has fulfilled its function, and has inspired readers to find out more about ancient Egypt. ISBN 978 0 7141 3115 3. The Rosetta Stone is probably one of the most important and well known of objects from ancient Egypt. The story of its discovery, however, is perhaps less well known than the story of how it played a key role in the decipherment of ancient Egyptian hieroglyphs. This is really the first complete account of the stone itself, from the time of its discovery by the French, set against the backdrop of the invasion of Egypt by Napoleon Bonaparte and Nelson’s defeat of the French fleet at the ‘Battle of the Nile’. The French were determined to keep the stone, for they recognised immediately its significance and importance. 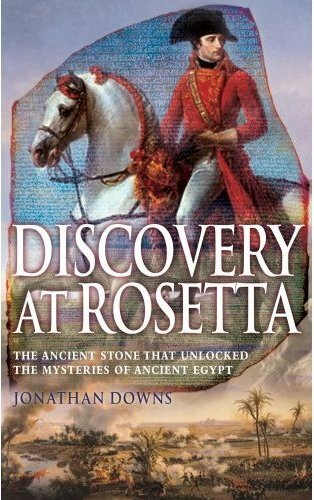 The author recounts the movements of the stone within Egypt as the French were attacked by both British and Ottoman forces and as the French did their utmost to retain the treasure they had found. The moment when the stone was captured by the British is described and how it was ultimately taken to London and the British Museum, where it remains on display today. This is a real-life and gripping story of intrigue, sacrifice and distrust in a country at war, with the French and British fighting for supremacy. It is a really good read, especially if your interest in Egypt extends to more recent times and to the period of the Napoleonic wars, which were to change Europe, and indeed Egypt, forever. ISBN 978 1 84529 579 0. The publication of Description de l’Égypte two hundred years ago in 1809, is seen by many people as the seminal point in the development of Egyptology in Europe and in the UK. This book looks at the realities of the impact of the publication with specific regard to Great Britain and asks if it actually was such an important publication. The many volumes of Description de l’Égypte were expensive, and one section looks at the costs and the record of copies sold or otherwise distributed. Recipients included the House of Lords Library, the Speaker of the House of Commons, the British Museum Library, Henry Salt and the Duke of Wellington, but it is clear that the number of copies in Great Britain was relatively small and that most of them were not easily accessible to the public or to scholars. The publication was large-scale, the volumes were huge and expensive, which initially limited those who could afford them or had the space to house them (special cabinets were made to hold the set of volumes). Earlier publications, by Frenchman Denon and by Belzoni, had proved best-sellers and certainly aroused interest in Egypt before Description, though these titles were seen perhaps as more personal tales of the writers’ adventures, whilst Description was seen as a more secure and scholarly publication. The author looks at the publications of Denon and Belzoni and assesses their impact on readers. As the author shows, Description de l’Égypte, whilst recognised by many as being important, actually seems to have “failed to make any direct, visibly large, scholarly impact on the academic or literary communities in Britain”. Whilst the French campaign to Egypt was of great importance and drew the attention of Europe to Egypt, it was the military exploits and the number of exciting Egyptian objects coming out of Egypt to places such as the British Museum that actually increased the popularity of Egypt, rather than the publication itself. However, it clearly played an important role in French Egyptology and inspired Champollion to visit Egypt himself. Publication of Description de l’Égypte, and the obvious desire of the French to make it widely available outside France, says much about their aim of glorifying France, the campaign and the results of their work in Egypt, at a time when there were few other publications on the subject. The author concludes that one reason for the popularity of Description de l’Égypte, certainly in more recent times, is that Egyptologists now react to it in a more nostalgic manner and readers cannot fail to be impressed by the size, scope and quality of the work, and the history around its creation. This is a most interesting publication and provides a real insight into how information about Egypt became available and spread in the first half of the nineteenth century. Published by Golden House Publications, 2005. This is the second volume in the series Egypt in Miniature and is on the well-known tomb of Ptahhotep at Saqqara, which features some of the finest reliefs in the necropolis. The members of the Oxford Expedition to Egypt (OEE) have spent many seasons working in this tomb (and other tombs of Old Kingdom) at Saqqara. The aim of this volume, and indeed the previous and planned volumes, is to produce a visual and written conservation record of the decoration in a specific chapel in the Saqqara necropolis as it exists at the present time. This is all too important as scenes can get damaged over time, or tombs be closed to visitors. This large and beautifully produced book contains a wonderful selection of large-scale black-and-white photographs of scene details, supplementing these images with detailed descriptions, analyses, archaeological data, and context line-drawings or photographs of the wall compositions (so that the details can be pin-pointed accurately). This is a magnificent volume. The book is large (29.7 x 22.5 cm), with 374 pages, 381 black-and-white plates and tomb plans. The book looks splendid too, with a dark green faux-leather binding, gold lettering and patterned tan end-papers. Printed on high quality paper, the black-and-white images are crisp and clear, and each one reveals the most intricate of details that are often difficult or even impossible for visitors to the tomb to see. The photographs, taken using special lighting, are remarkable for their clarity, which enables, possibly for the first time, the skills of the ancient sculptors to be seen at their very best. If you know the tomb of Ptahhotep, this book will add a new dimension to your understanding of its chapel, and the nature and function of the decoration. If it is a tomb with which you are not familiar, this book will be more than adequate as an introduction, well worth reading before any visit, or just a volume to sit and enjoy in the comfort of your own home. If you are a scholar or student of Egyptology, or of Egyptian art or archaeology, then this volume should prove to be well used. An essential part of the Egypt in Miniature series is the OEE Scene Details Database, which can be found at www.oxfordexpeditiontoegypt.com This database contains a bibliographical and archaeological record of the known examples of scenes relevant to each of these scene types, but it also includes lists of the details relevant to each scene-type, and provides records of the known examples of the scenes in which each specified detail occurs. Further volumes in the Egypt in Miniature series are in the course of preparation, and I, for one, cannot wait for them. Published by The Oxford Expedition to Egypt, 2008. ISBN 978-0 9540835 2 6. One of the great treasures found in the tomb of Tutankhamun was the little Golden Shrine, decorated with scenes of Tutankhamun and his Queen, Ankhesenamun. 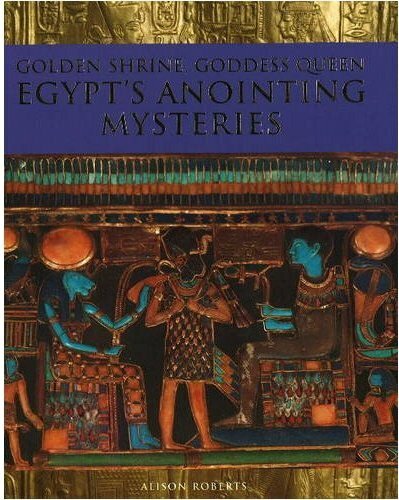 The author explains that far, from being scenes of domestic harmony between the royal pair, as they are often interpreted, the imagery reveals the divine incarnation of the Queen as the fiery solar eye goddess, Hathor- Sekhmet and her empowering vitality. The scenes include ones of the Queen anointing the king and the ideas behind this act can be seen evolving into Christian beliefs and rituals too, as the author explains., creating a forgotten link from more recent times to the ancient past. 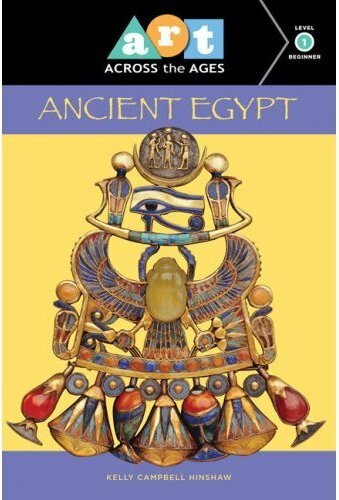 This book is well illustrated, with many excellent images from the golden shrine and of other ancient Egyptian places and objects. There are several pages of interesting and informative notes and a good bibliography. Published by Northgate Publishers, 2008. ISBN 978 0 9524233 2 4. This volume, in a series of publications on papyri in the British Museum, is devoted to a group of later hieratic funerary texts from Thebes, known as ‘Books of Breathing’. The papyri date from the Ptolemaic and Roman period and most are published here for the first time. Each papyrus is fully illustrated with photographs and a hieroglyphic translation, with English translations and commentaries on the texts. 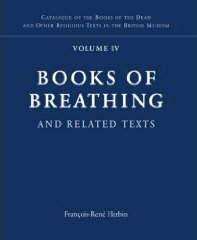 Books of Breathing seem to have gradually taken over from the Book of the Dead in the Ptolemaic and Roman Period and are specific to the Theban area. The documents underline the importance of breathing for the dead in the afterlife. 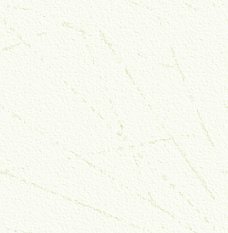 This is clearly a publication for those who are undertaking a serious study of ancient Egyptian funerary texts, and it makes their contents available to readers in a single volume, which will help facilitate the study and comparison of similar documents in other museum collections around the world. ISBN 978 0 7141 1968 7. Perhaps the most interesting part of this first-person account, by a junior member of the royal family, of the last days of monarchy in Egypt, is the description of the life of the ladies of the harim. The fabulous wealth and privilege of the royal family in their many palaces was accompanied by stifling traditional restrictions, but also by indications of a real desire to improve the lot of their subjects. A valuable addition to the written history of the country.